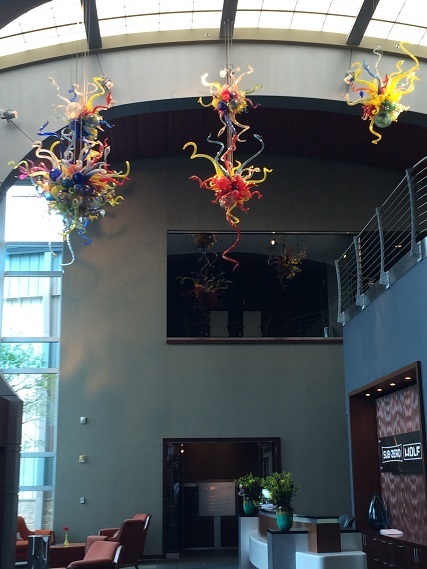 Product education and tours at Sub-Zero/Wolf headquarters provides both inspiration and insight. 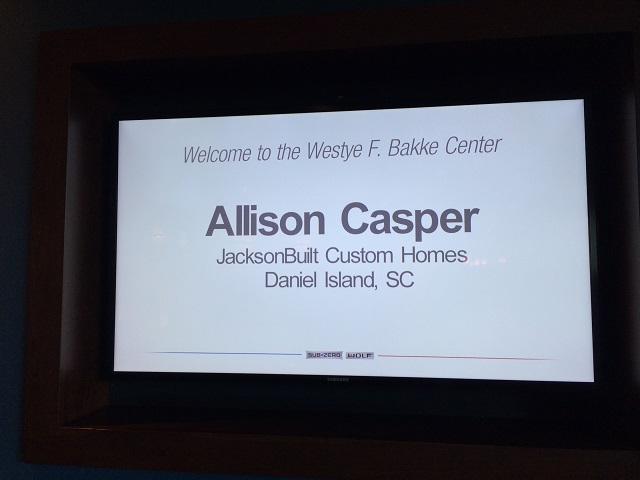 JacksonBuilt Design Director, Allison Casper, was recently invited to the Westye F. Bakke Center- Sub-Zero/Wolf headquarters and training center in Madison, Wisconsin- for a three day hands-on product training and factory tour. 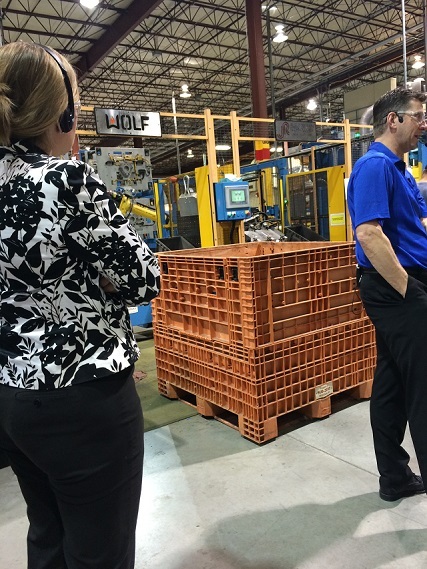 Each day was a complete product line immersion, featuring education and training in the showrooms followed by in-depth tours of the manufacturing plants. 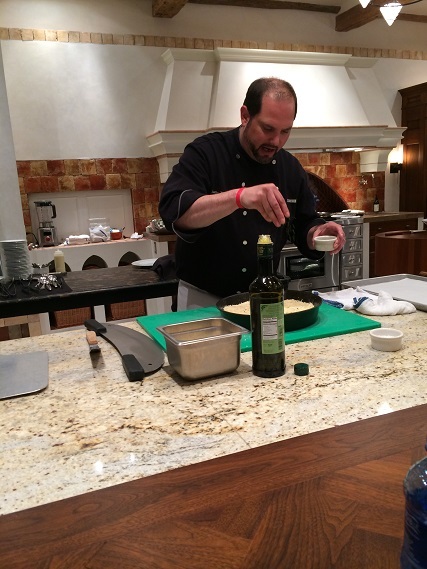 Every afternoon, attendees were treated to the in-house chef’s cooking lesson in the showroom kitchens, where menus were designed to showcase the newest in cutting edge technology. 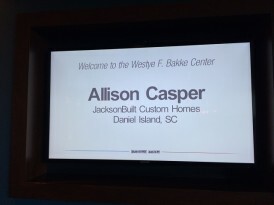 Casper described how impressed she was with Sub-Zero’s dedication to quality control and accountability in production; the company tests each and every unit that rolls off the assembly line. 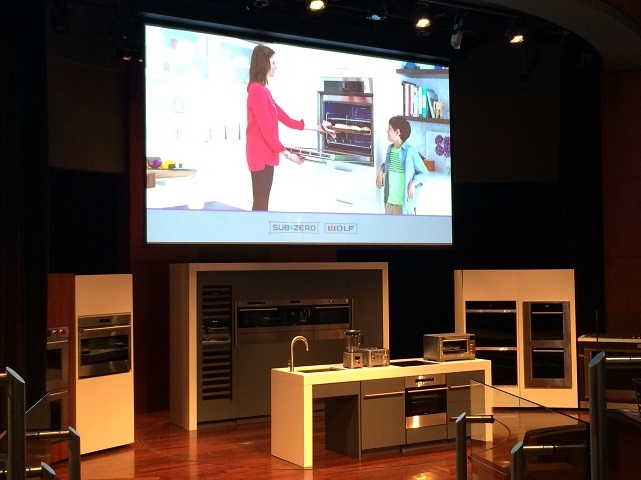 And the introduction to new products like Wolf’s mini 15″ x 20″ inch counter drop-ins — steamer, fryer, grill, induction cooktop, and teppanyaki (a Korean grill cooktop) — provided a platform for many creative design ideas. In true Sub-Zero/Wolf style, the experience was nothing short of perfection. 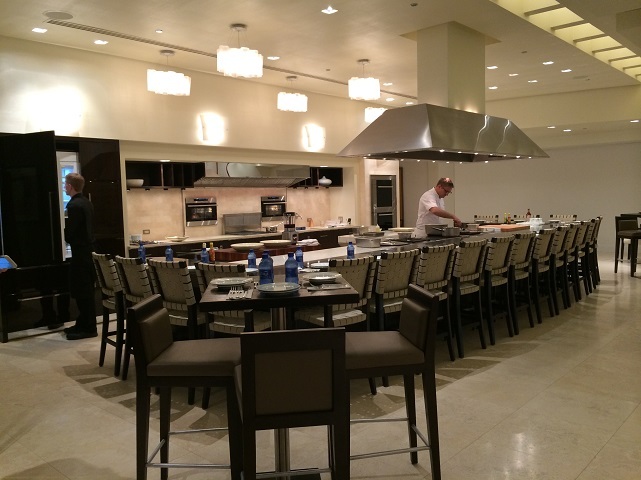 Streamlined kitchen at Sub-Zero headquarters where the featured meal made use of the Wolf convection steam wall ovens to prepare a leg of lamb, paired with an asian shrimp salad and corn bread pudding. The Chef then made doughnuts in the fryer for dessert. 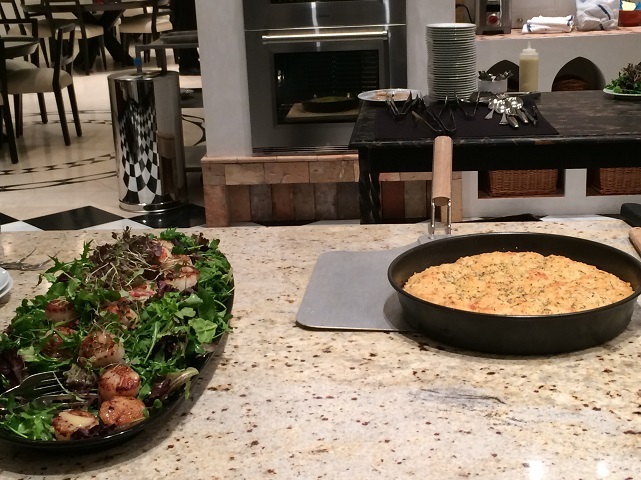 In the stylish kitchen at Wolf headquarters, lunch featured seared scallops prepared on the Wolf dual fuel griddle. Homemade focaccia bread was made using a baking stone in the Wolf electric wall oven.